Flipkart India Pvt. Ltd, the wholesale cash-and-carry arm of e-tailer Flipkart and its largest unit, has received working capital credit of Rs 375 crore from Axis Bank, documents filed with the ministry of corporate affairs show. E-mail queries sent to the company didn't elicit an immediate response. The filings also show that the company had previously raised Rs 650 crore from Kotak Mahindra Bank, a loan that was eventually increased to Rs 820 crore. It had also secured a Rs 300-crore credit line from HDFC Bank, which was subsequently upped to Rs 453 crore. In June last year, VCCircle had reported that Flipkart was in advanced talks to raise $300 million (Rs 2,000 crore then) in loans from Indian banks since the equity infusion it was seeking at $15-billion valuation looked like a long shot. In 2015, Business Standard had reported that Flipkart had pledged assets for a Rs 1,400-crore credit line. While taking loans is not unusual in the corporate space, the extent of a company’s reliance on working capital credit is an indicator of its cash flow position and the business' recovery cycle. Generally speaking, excessive reliance on credit for meeting working capital requirements is not considered healthy. “Inventory cycle is crucial in a retail business. When the cycle of recovery through goods and services gets longer, you need to have working capital to pay for your fixed costs,” says Anup Jain, managing partner at consumer and retail consulting firm Redback Advisory Services. However, a unit engaged in the wholesale cash-and-carry business should ideally have negative working capital needs, he points out. “While it is obvious there is not enough equity share in the company, this is also an indicator of their expected inventory turn. Besides, this could mean that the company has brought a lot of inventory or their marketing efforts are not resulting in timely inventory sales,” Jain adds. For FY16, Flipkart India registered a 42.8% rise in gross revenue to Rs 13,177 crore from Rs 9,226.5 crore in the previous year. Net loss came in at Rs 544.3 crore as the company was able to shrink it from Rs 828.2 crore in the previous year. It is yet to file its financials for FY17. To keep its deep-pocketed rival Amazon at bay, Flipkart recently raised $1.4 billion from Chinese Internet giant Tencent Holdings Ltd, US online retailer eBay and software giant Microsoft Corp. Recent media reports suggest Japan's SoftBank Group Corp will infuse up to $2 billion into Flipkart, after it led a failed attempt to consolidate Flipkart and Snapdeal. 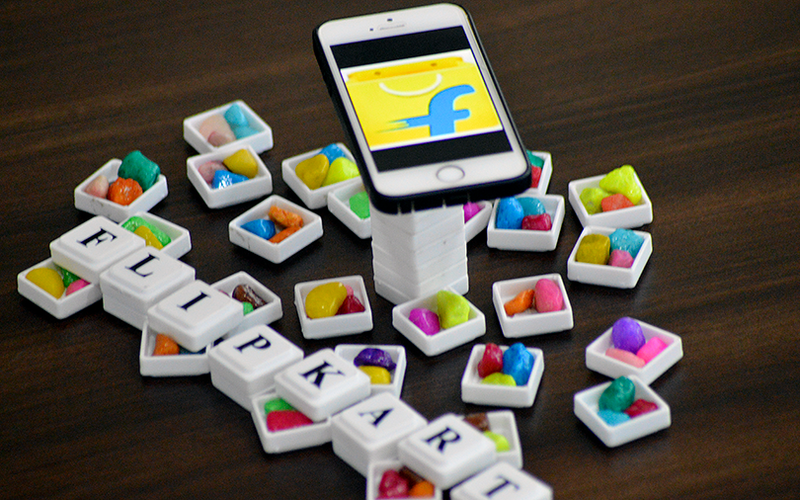 Initially, the investment into Flipkart was contingent upon the deal, but that seems to have changed. Flipkart Ltd Singapore (the umbrella entity of Flipkart) and Flipkart Marketplace Pvt. Ltd Singapore are the shareholders in Flipkart India.